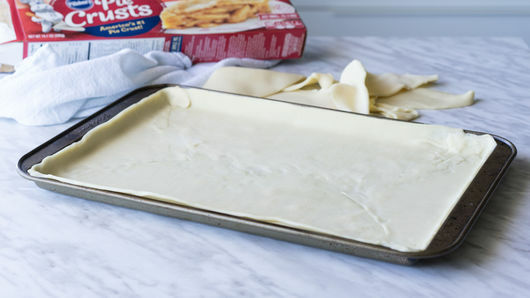 Soften 1 box Pillsbury™ refrigerated pie crusts as directed on box; unroll crusts, and cut in half. Place long edges of crusts along sides of ungreased 13x9-inch rimmed baking pan, overlapping rounded parts on inside. Trim off any excess or overlapping dough, and pinch seams closed. Prick dough all over with fork. Bake 10 minutes. Cool completely. In large bowl, beat 1 package (8 oz) cream cheese, softened, and 1/3 cup sugar with electric mixer on medium speed until smooth and creamy. 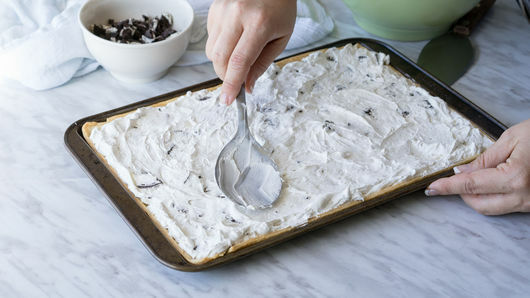 Fold in 1 container (8 oz) frozen whipped topping, thawed, and 13 Oreo™ creme-filled chocolate sandwich cookies, coarsely chopped. 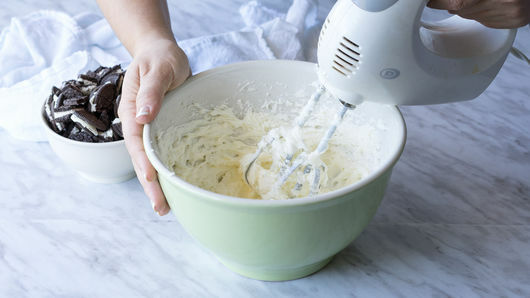 Spread cream cheese mixture evenly over cooled crust. Sprinkle with 5 Oreo™ creme-filled chocolate sandwich cookies, coarsely chopped. Loosely cover with plastic wrap. Refrigerate 2 hours. Cut into 4 rows by 3 rows, and enjoy! This recipe can be made into a pie by using one of the crusts, and baking as directed on box for One-Crust Pie for Baked Shell. Follow rest of recipe as above. 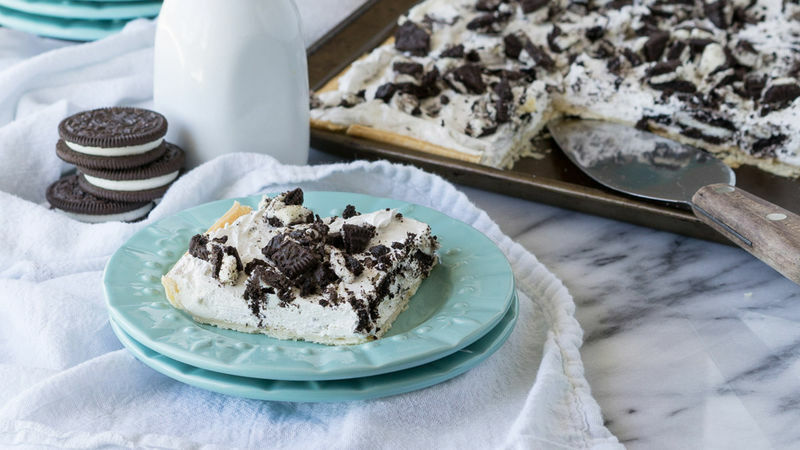 Try using another favorite chopped-up cookie instead!